Dwarflings is an indie themed 2D adventure game. Solve various challenging puzzle as you journey to rescue your fellow dwarves. If you like this free game, try Cattch. Dwarflings is a combination of two popular classic games. Work on your logic and strategy as you control your dwarves' abilities. Embark on an exciting adventure to help the rest of the dwarves escape before it is too late. 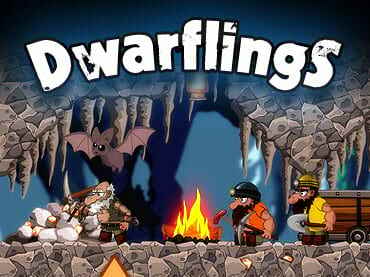 - Dwarflings is a free full version game to download and play. If you have questions about Dwarflings game, please contact us using this form.